Drivers in Boulder Colorado who are looking for an undeniably rugged and dependable utility vehicle may naturally turn their attention to the 2018 Jeep Wangler. The Wrangler has been a popular option in this automaker’s lineup since 1986. In fact, this utility vehicle has an almost iconic status with drivers. As well-equipped as the Wrangler is initially, many drivers choose to upgrade their vehicles completely based on their usage needs and stylistic preferences over the years. If you have decided that the Wrangler is the right vehicle for you to buy soon, you understandably want to pick out the perfect vehicle that meets all of your current needs for reliability, function and style. At Pollard Jeep, we are your trusted Boulder dealer carrying a huge inventory of Wrangler vehicles in all current trim levels. After you learn more about the many options available, you may be eager to stop by our Boulder area dealership to get behind the wheel of a new Wrangler. One of the reasons why many drivers in Boulder Colorado and surrounding areas are drawn to the 2018 Jeep Wangler is because of its iconic, classic body style. The Wrangler notably has a boxy shape that has not changed dramatically over the years. It continues to have signature round headlights with a pronounced grille, a cubical roofline and a flat rear. Eight color options are available, and these options hold steady regardless of the 2018 trim level that you prefer. The base trim level is equipped with 17 x 7.5-inch painted alloy wheels with all-season tires. Higher trim levels come with 18 x 7.5-inch polished alloy wheels with all-terrain tires. Exterior options vary based on the trim level that you purchase, but these generally include body-colored fender flares, tech gray polished wheel faces, a trail-rated kit, black wheels with a polished lip, a black or body-colored three-piece hardtop, a soft top window storage bag, tubular side steps and other features. When you get behind the wheel of a Wrangler at Pollard Jeep, you have the opportunity to check out the attractive interior and to admire the many comfort and convenience features available for front and rear seat passengers. The Wrangler is a five-passenger vehicle that comes with your choice of a two-door or four-door configuration depending on the trim level that you select. Several interior colors are available for you to choose from, and these colors vary slightly based on your preferred trim level. Even the most basic trim has wonderful features that improve your time on the road. These standard features include comfortable cloth seating with a fold-down rear seat, manual front seat adjustments, cruise control, cupholders and storage spaces for both rows, power steering with a leather steering wheel, air conditioning or climate control, a rearview or backup camera, sun visors with illuminated mirrors, a trip computer with a full instrumentation panel, USB ports, eight speakers and more. Some 2018 trim levels also come with power windows and power door locks, a universal remote transmitter, heated side mirrors, satellite radio and many other features. Interior options include all-weather floor mats, leather-trimmed seats, Uconnect with a large display screen, approach keyless entry, a hardtop headliner and more. The Wrangler is a model that is well-known for its overall durability, its powerful performance and its ruggedness. Because of this, drivers who visit our Boulder dealer to see the Wrangler in person have high expectations for mechanical and powertrain features. The base engine is a 3.6-liter, Pentastar V6 engine. It consumes regular unleaded gas while delivering 285 horsepower along with 260 foot-pounds of torque. This V6 engine comes with a four-wheel drive configuration along with a six-speed manual transmission. An auto transmission is also available as an upgrade. With a 40.8-foot turning circle, you can expect the 2018 Wrangler to deliver in the area of maneuverability. It also comes with automatic locking hubs, a solid independent suspension system, manual hi-lo gear selection, part-time four-wheel drive and front and rear locking differential in some trim levels. If you plan to drive the new Wrangler in Boulder Colorado or throughout the local area, you may be eager to learn more about how this vehicle can keep you and your passengers safe on the road and in your off-road adventures. This rugged utility vehicle is equipped with a full array of standard safety equipment. These features include fog lights, four-wheel anti-lock brakes, rear folding headrests, adjustable front headrests, child safety door locks in four-door vehicles, a passenger occupant deactivation feature for the front airbag, rear and front ventilated disc brakes, a post-collision safety system, tire pressure monitoring, traction control, stabilizer bars, emergency braking assistance, auto delay-off and dusk-sensing headlights and more. 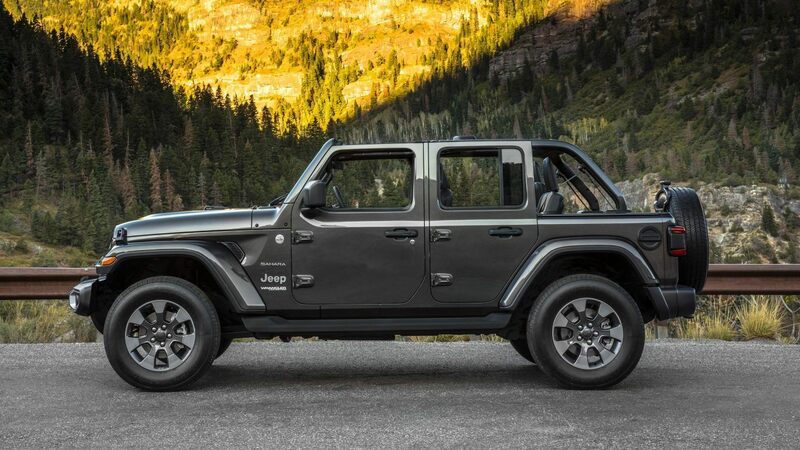 At Pollard Jeep, we are your Boulder dealer that is eager to take you out for a test drive soon. Our helpful sales team can answer all of your questions about the features and trim levels available so that you can easily pick out the specific Wrangler that you can enjoy driving for years to come. If you are ready to get serious about your plans to purchase a new Wrangler soon, contact our office today by phone to make an appointment with us. You can also stop by at your convenience during our business hours.